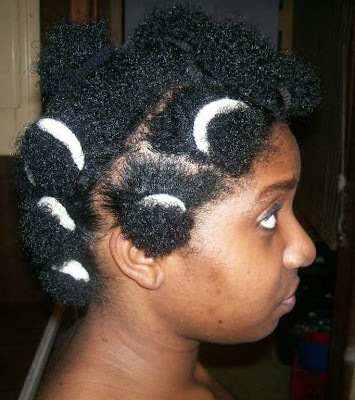 On Tuesday while watching Bad Girls Club (these chicks are even more childish and petty than the other seasons I swear), Martin, and some other shows, I did these big ole twists on my head. And if I do say so myself, they are looking mighty good! 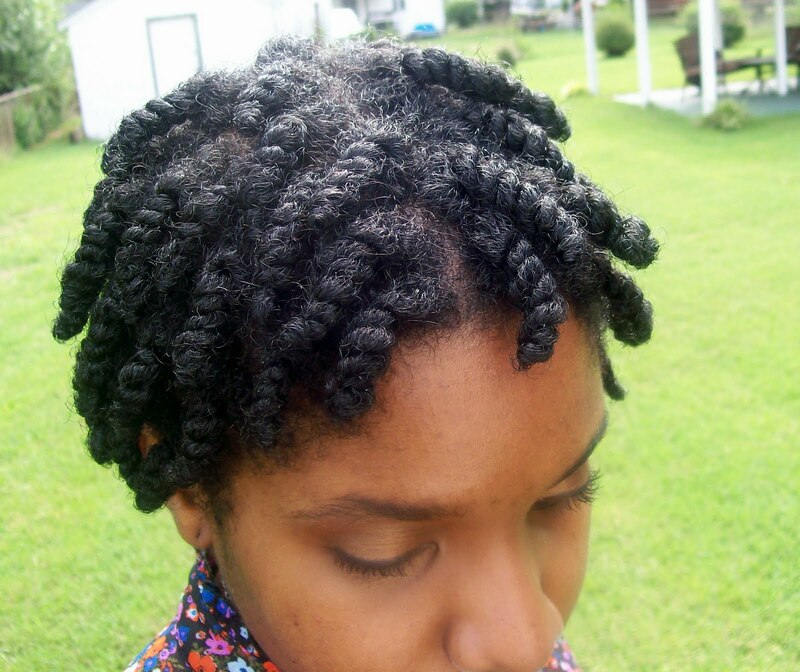 Total time for twists: 3 hours or so, not bad at all! On Monday, I spent maybe 5 hours or so taking down my braids. 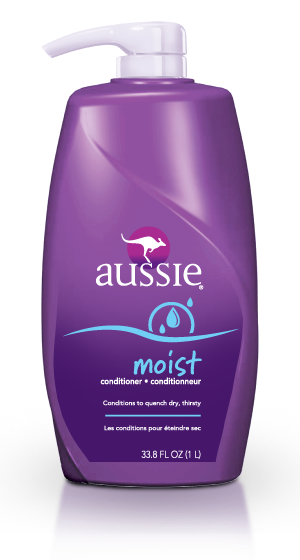 I wet my hair in the shower using the new shower filter I bought (it's "okay" so far), then applied Aussie Moist Conditioner to my hair for extra slip. 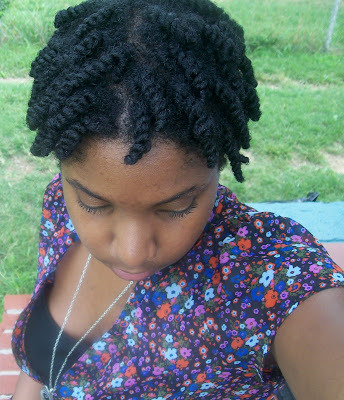 Next I added a little shealoe to each braid before I unraveled them. The shealoe helped to reduce the friction between each of the 3 sections of each of the braids that I took apart, and it also made them loosen up some, making the take down pretty painless. This is a big tip that I want to give to you all. Reducing friction between your hair strands is very important. Whenever I am styling my hair, or detangling, I not only add my detangling agent, I also add some type of oily product to my hair. 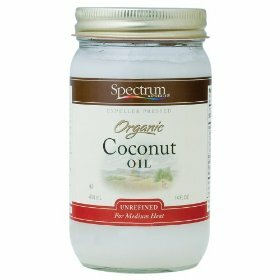 I use unrefined coconut oil. 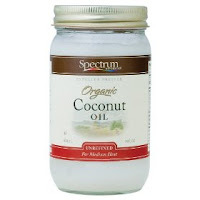 The coconut oil coats my hair strands and allow for no friction (aka tangling) between my hair strands. The less tangling and friction between the hair strands, the less likely that my hair is going to get damaged while I am trying to remove shed hair from my hair. 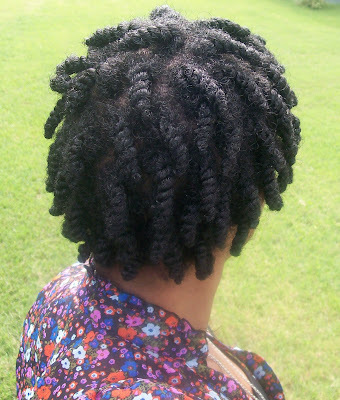 If your hair is tangling really badly when you are detangling or styling, you may want to try to add a little oil such as coconut oil or another oil of your preference to your hair to help add lubrication between your hair strands. The next morning I woke up, already having my hair sectioned off into 20 or so sections using little kiddy scrunchies. I wet my hair down with my water spritz, then proceeded to add Aubrey Organics Honey Suckle Rose conditioner and one drop of glycerin to each small section of my hair. When I was finish applying it the first time, I noticed my hair had absorbed the conditioner already, so I added another layer by taking each section down again and reapplying. When I was done I added honey to my ends. I put on a shower cap, a hat and ran some errands. "My hair feels like hair!" LOL! It felt so good I thought I had snuck a weave in there or something...definitely felt to good to be my hair. 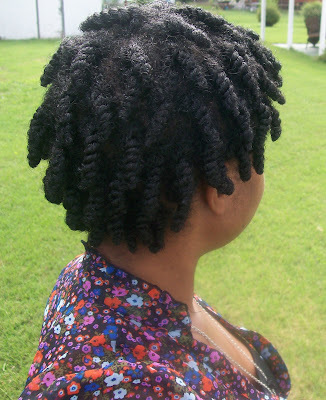 Anyway, I detangled in the shower, taking down each section and finger combing, then I immediately braided each section back up to reduce tangling and single strand knots. 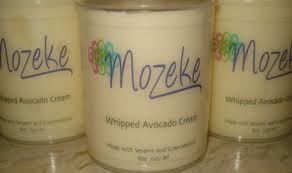 and Mozeke Whipped Avocado Cream to others. Okay this was so not smart because I started applying two of the butters to some twists and I found one combination really moisturizing and I don't know which one it was (I hope it is shealoe cause I can make that on my own!). Either way these twists are in, feeling goodt goodt goodt. Alright lovelies, take care! Oh La La I'm in French! You Good With That Shea Butter?